Two photographs earn Top 100 and Top 250 placement among thousands of images in juried competition. VERY EXCITING NEWS! Two of my photographs have been awarded top honors in one of the continent's most prestigious and competitive, juried nature photography competitions--the North American Nature Photography Association's (NANPA) Annual Showcase competition! Those entering the competition are frequently competing with images from legendary nature photographers and NANPA members like Moose Peterson, Peter Lik, and more. There were more than 2400 images submitted this year by talented amateur and professional photographers alike. Any one particular image only had a 4% chance of being chosen for the Showcase. I am honored to have my images selected as some of the best of this year's submissions and to have received these prestigious awards! "Simple Gifts," (two Red-Necked Grebes courting via "gift-giving" behavior in Alaska) has been selected for Top 100 images of the 2013 submissions. "Twists and Terns," an image of two Arctic Terns battling for supremacy, also photographed in Alaska, was placed in the Top 250 for 2013! 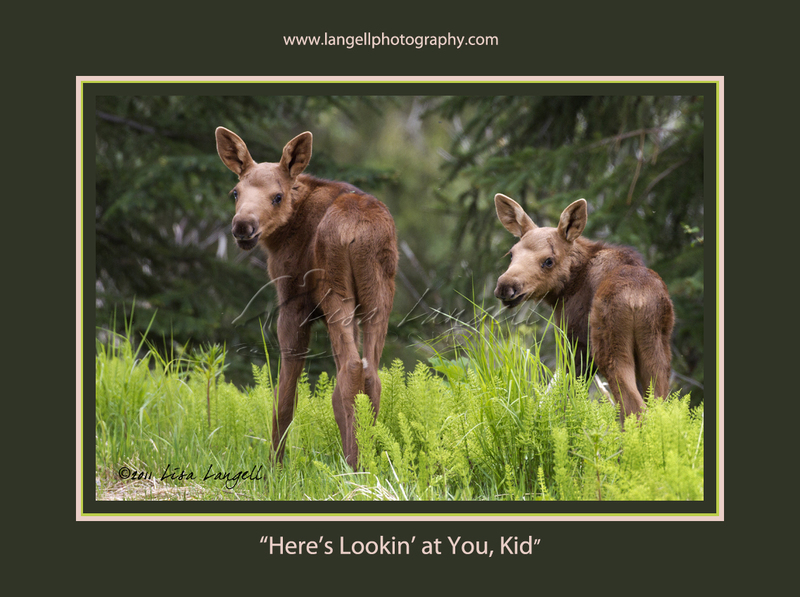 Last year, my image of twin moose calves, "Here's Lookin' at You, Kid" made it into the top 250 in the 2012 Showcase Competition and was published in the NANPA 2012 Expressions journal (page 53). To have earned such recognition two consecutive years is an honor and thrill. 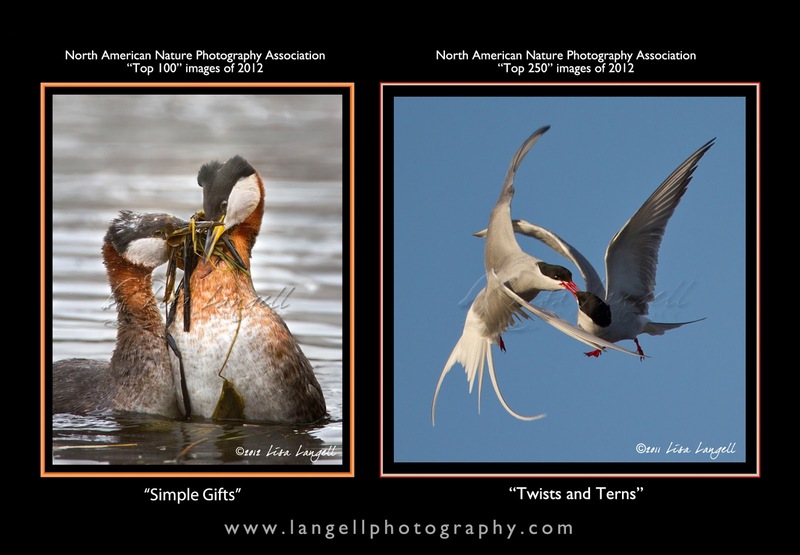 They will appear in the 2013 NANPA print journal, "Expressions" (to be published). Thanks to NANPA for these awards! NANPA is a wonderful organization that promotes both the appreciation and protection of nature--and nature photographers! A Big Congratulations Lisa!!! ... One of my images was selected this year for the top 250 too. Wonderful!!! Congratulations! It's a great feeling, isn't it? Where can I find your image?